Funny chihuahua. Funny chihuahua. Wallpaper and background images in the Chihuahuas club tagged: cute chihuahua image. 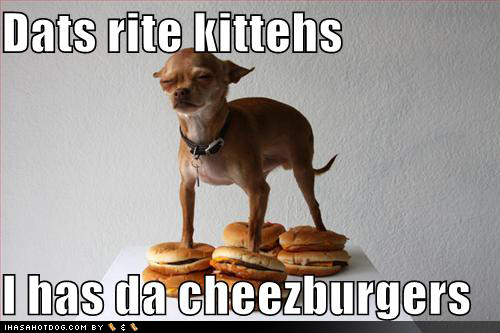 Awww he's not much bigger than a cheesburger ! I know but at least he has them...LOL ! Me too .... Mind you does not take much to make me hungry...LOL ! Me neither ! i only have to look at the fridge lol ! And iv'e just eaten a choc ice ! at this time of night....well serves me right if i get nightmares lol !!!! Well worth it ... choc ices are so tasty lol !